Helmstetler Architects + Associates, Inc. is a well established, award winning, full-service professional architectural practice located in South Fork, Colorado. 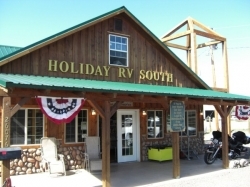 Recreational Vehicle: Sales, Parts, Service, Rentals. Retail store front handling flooring, fabrics, window treatments, lighting and home decor. With Patricia Eagle at Horizons Ceremonies a ceremony is composed exclusively for you. Patricia is an ordained and certified wedding Celebrant and funeral/memorial Celebrant–sharing stories, touching hearts, and connecting lives. Peace-of-Mind Having a rental- or second-home should not be stressful. You can count on us to be “here” while you are “there”. Property Management for short-term rentals, long-term rental and second homes. Volunteers dedicated to changing the world, one child and one community at a time. South Fork's Kiwanis club is always looking for new members and projects having to do with kids and the community! 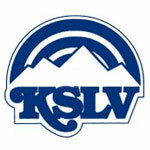 Local radio station serving the San Luis Valley, including the Upper Rio Grande region. Quality high-altitude nursery stock. 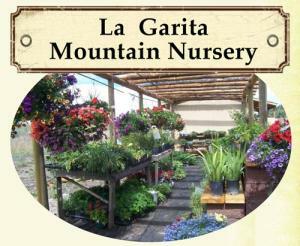 Spruce trees,aspens,deciduous trees, shrubs, perennials, annuals, hanging baskets, clay pots, vegetables, mulch and more! 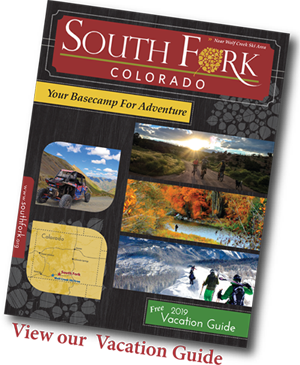 Visit our South Fork location on Highway 160 West of the Shaw Creek Rest Area. Our business makes your business STAND OUT! We are a full service graphic and web design company that offers cutting edge marketing solutions. Computer Repair, Networking, Cell Phone Repair, Satellite Dish Repair, Tablets, Laptops, Website Maintenance, Security Systems. Your computer deserves the best. 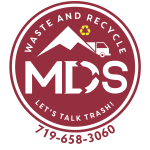 MDS provides trash removal including 1-6 yard sizes for both businesses and residences and curbside recycling to Creede, South Fork, Del Norte and Monte Vista. MDS also provides large commercial 20 and 30 Yards Roll Off dumpsters. MDS services the entire Upper Rio Grande Valley! Having car, truck, or RV problems of a mechanical sort? Stop in and see Klaus. Behind Community Bank on Hwy 160. POWERSPORT & TRAILER SALES, SERVICE & RENTALS - Kawasaki, Big Tex, Diamond C, Maxey, Parts, Accessories, Tire Repair, Rainwear, Thermal Wear, Gloves, Helmets, Spy Eyewear, Ramps and more! Taste the History of Old Mexico . . . at Ramon’s Mexican Restaurant in South Fork, Colorado. Open from 11am to 9pm Monday - Thursday and Sunday. 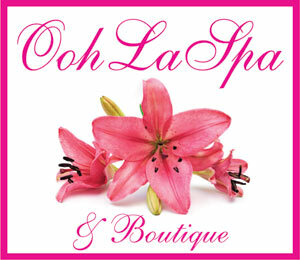 Fridays and Saturdays 11am to 10pm. Monday-Saturday, 8 am-6 pm. Providing the highest quality of general property maintainence including, tree removal, wildlife removal, gutter cleaning, lawn care, landscaping, property management, window washing, odd jobs. Enjoy a true mountain golf experience at this unique 18 hole championship golf course. 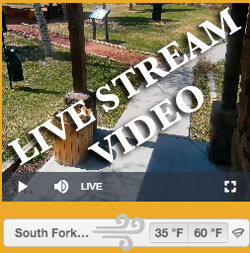 Enjoy our spacious practice range, full-service fitness center, private Gold Medal fishing on the Rio Grande. Fine Dining at the Timbers Restaurant.